New singer-songwriter Honor comes with an enigmatic breakthrough story – she became an online sensation in 2015 when her lost memory stick was recovered by a YouTuber who turned to social media to help discover the mystery voice. With the girl behind the ethereal melodies uncovered, Honor’s material caught the attention of Spaceship Management, best known for their work with hitmakers Benny Benassi, The Bloody Beetroots, Crookers and Alex Gaudino. Swedish dance music maestros PANG! 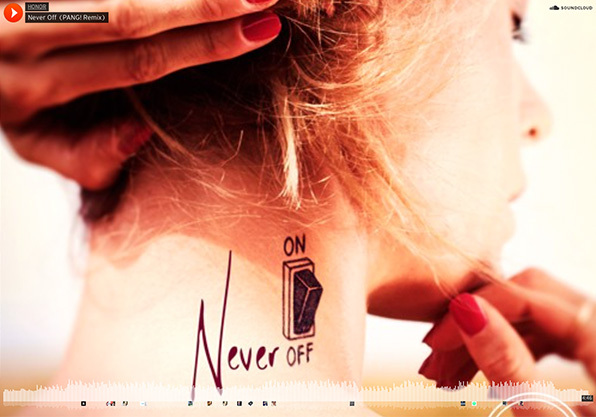 have given her debut single ‘Never Off’ a sunshine remix, perfect for a chilly February night. Lie back and dream of Piña coladas. The PANG! ‘Never Off’ remix is out this Friday 5th February, with the single release on the 19th February.